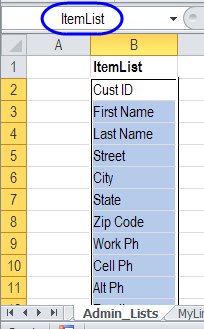 Use this macro to move items from one listbox to another; move all the items, of just the selected items. 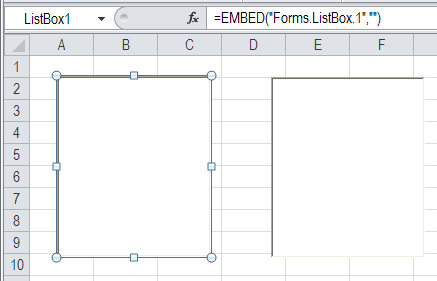 This Excel VBA example moves items from one listbox to another -- either all the items, of just the selected items. To see the step, watch this short video. Written instructions are below the video. The listbox at the left is filled with items, when the sheet is activated. The first step is to create that list of items, and name the range. Here, the list is on a sheet named Admin_Lists, and the list is named ItemList. 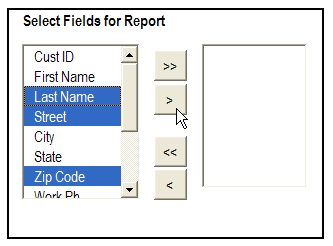 Next, you'll add the ListBoxes. 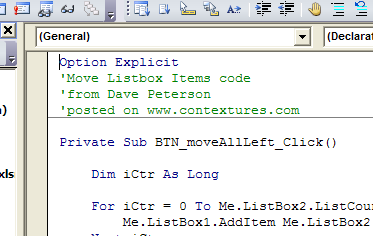 On the Ribbon's Developer tab, click Insert, and click the ListBox control, under ActiveX Controls. 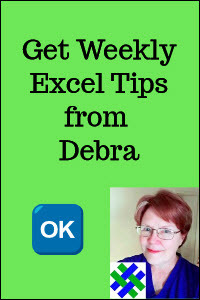 On the worksheet, drag to draw an outline for the ListBox, then release the mouse button. 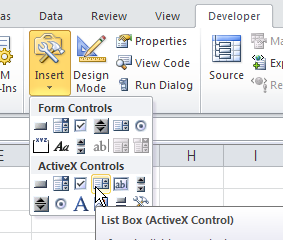 Use the ListBox control to draw a second ListBox, or copy and paste the first ListBox. 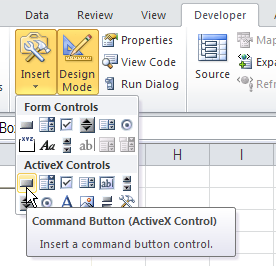 On the Ribbon's Developer tab, click Insert, and click the Command Button control, under ActiveX Controls. On the worksheet, drag to draw an outline for the first command button, then release the mouse button. 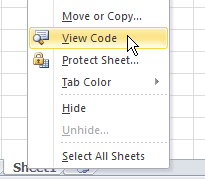 Copy this code to the worksheet module. 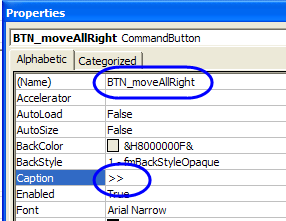 To see the code, and test the ListBox move items code, you can download the ListBox Move Items sample workbook. 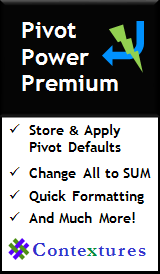 The file is in Excel 2007 format, and is zipped. 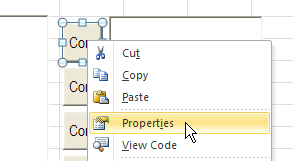 It contains macros, so enable them if you want to test the code.